Bitten: The Final Season - BUY ON DVD! 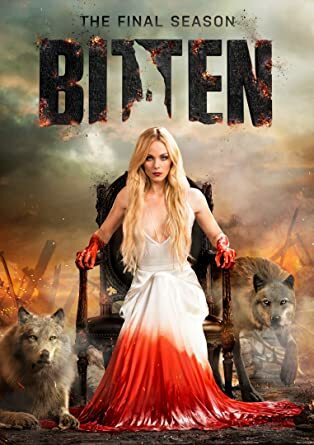 With the shocking introduction of Elena's father and half-siblings, a family she never knew existed, Season 3 of Bitten will force Elena into a vicious battle against a merciless Pack of Russian werewolves hell bent on destroying her, her family and her Pack. While Bitten's first and second seasons brought the real-world tone of Sons of Anarchy and the darker supernatural elements of True Detective, Season 3 delves into the theme of duty vs. family also explored in The Americans and Bloodline. THEN SEND IN YOUR NAME, ADDRESS AND 5 COMMENTS TO contests@efilmcritic.com. Put "IT'S ALWAYS THE RUSSIAN WEREWOLVES!" in the subject line and cross your fingers. We will draw names and you could receive a copy.. Only 1 entry per household.